Most of people like playing Scrabble. It is an interesting game which motivate gamers brainstorm and try their best to remember some words which they haven’t seen for a long time. Although it is simple to play, it is not easy to win the game. Getting the highest Scrabble words is the way to win the game. You can get high score when play 7 letter-word because you play all 7 tiles, so you can earn 50 points. There are some words having 7 tiles. They are SQUEEZE (78 points), JUKEBOX (79 points), QUICKLY (76 points) and MUZJIKS (75 points). If you get these words, you are really lucky. You even make 8 letter-word QUIZZIFY (93 points). Playing parallel words is also the way to earn high score. You can play them whenever you can. This means that you should remember all two letter-word. You never know that there are 101 two letter-words. You have to try your best to remember all of them. Adding a letters word existed in the game is also another way to get highest Scrabble words. A simple way to do that is to add S to ending letter, after that spell out the words which use the S. For example, the word APPLE is on the board. Add S to make APPLE into APPLES, and then spell out STATION. Mastering all of words using the letter X, Z and Q is one of the effective ways to get high Scrabble words. They are high pointing letters. You will win the game if you can get these letter tiles. If you put them on triple or double point squares, you can get some high points. 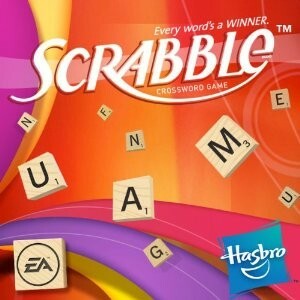 Moreover, you can use Scrabble Word Finder to find words for scrabble. You can sure which words are highest scoring words. Therefore, it’s easy for you to find words. Besides, it will provide you some tips to find scrabble words and find scrabble.